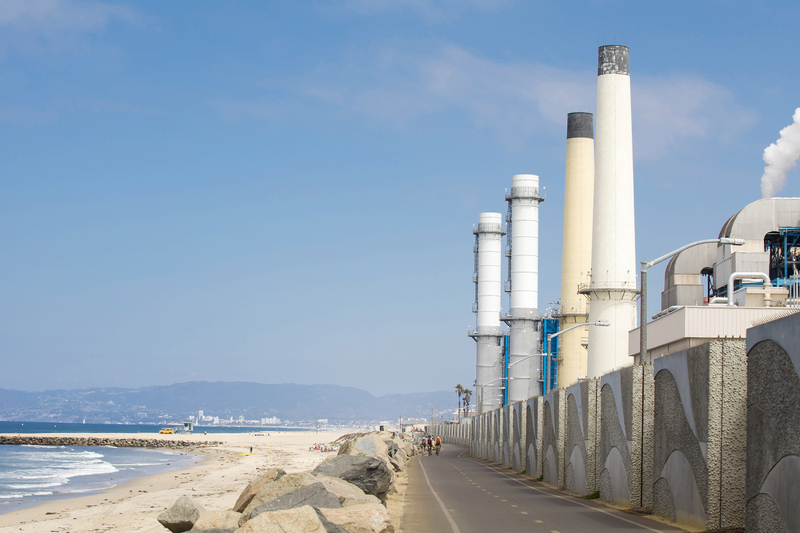 Enlarge / The NRG power plant in El Segundo, California. In 2015, one of 115 natural gas storage wells at the Aliso Canyon storage facility in Southern California started leaking methane, an extremely potent greenhouse gas. The leak took months to seal, becoming the second largest methane leak in US history but likely the most environmentally damaging methane leak in US history due to the fact that none of the methane combusted before being released to the atmosphere. After the well at Aliso Canyon was sealed, the state of California prohibited Southern California Gas (SoCalGas) from filling the storage facility, a series of underground caverns made of depleted former oil wells, to capacity. SoCalGas also may not draw gas from Aliso Canyon unless other options have been exhausted. The result is that California is entering the third summer in a row where SoCalGas has warned that there might not be enough natural gas to feed Southern California’s needs through both the summer and the winter. Besides regulatory restrictions on filling Aliso Canyon up to capacity, a number of pipeline outages have also kept the amount of natural gas in the Southern California area low. According to the Energy Information Administration (EIA), three pipelines in particular are out of commission with no completion date anticipated in the near future. The result is that natural gas pipeline capacity and non-Aliso Canyon storage is projected to be 0.2 billion cubic feet per day (bcf/d) lower than it was last summer. Generally, the highest demand for natural gas occurs in the winter, because the fuel is used both to run power plants and to heat people’s homes. In summer, residential heating is less of a concern, but as more residents turn on air conditioning during the hot summer months, the increased demand for electricity means natural gas generators demand more fuel to produce more electricity. Summer is also when natural gas reserves that have been depleted get replenished, but if pipeline outages persist, the rate of replenishment could slow. Thus far, the restrictions on Aliso Canyon storage haven’t created significant problems for California. 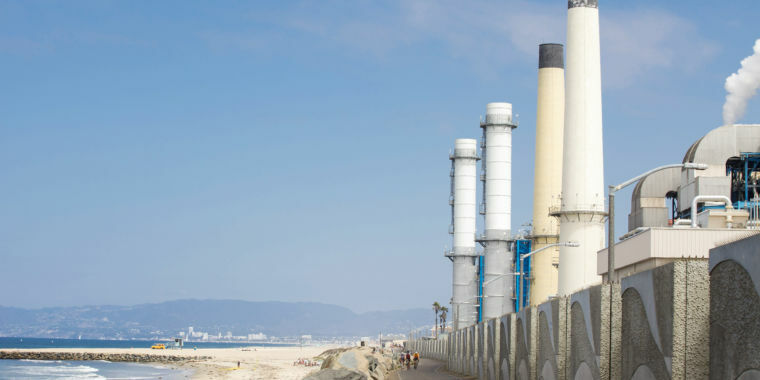 Immediately after the leak, SoCalGas warned that unless the state allowed it to fill its storage facility back up again, blackouts would occur. Those blackouts never came to pass, and California turned to alternative ways of addressing electricity demand, including ordering utilities to invest in large-scale batteries. Still, according to Reuters, in early May a group of regulators and power companies issued a technical report saying that the region only avoided serious problems last winter because of unusually mild weather, which drives down the need for heating and electricity. 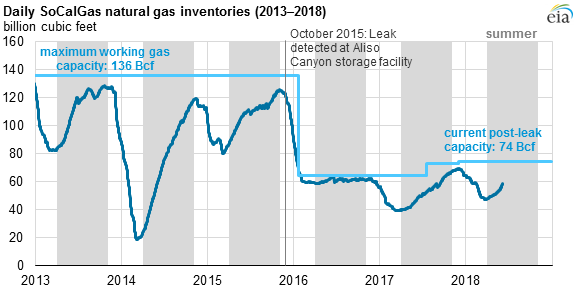 The situation is interesting because it shows that even three years after the Aliso Canyon disaster, the storage system for natural gas in California has not returned to its previous state before the leak. In addition, the Trump administration’s Department of Energy (DOE) has repeatedly argued that difficulties in storing natural gas mean the federal government should prop up expensive coal and nuclear plants. But California has almost zero coal power, and it has been in the process of shutting down two major nuclear plants (Diablo Canyon and San Onofre). Instead, the state has recommended other means to ensure electrical supply in both the summer and winter months. The May technical report suggested that, if natural gas pipelines can’t be repaired in time, power companies should import Liquified Natural Gas (LNG) from Mexico, expedite transmission projects that could send electricity from areas of surplus to areas where demand is high, and take advantage of demand-response pilot projects. Demand-response projects compensate electricity customers for shifting their demand to off-peak hours so they can receive energy from renewable sources or tap operating natural gas pipelines during times of low demand.